Shimmy into the Siena Apron in Red/White Blocks and simmer, sear and sauté without dirtying your clothes. 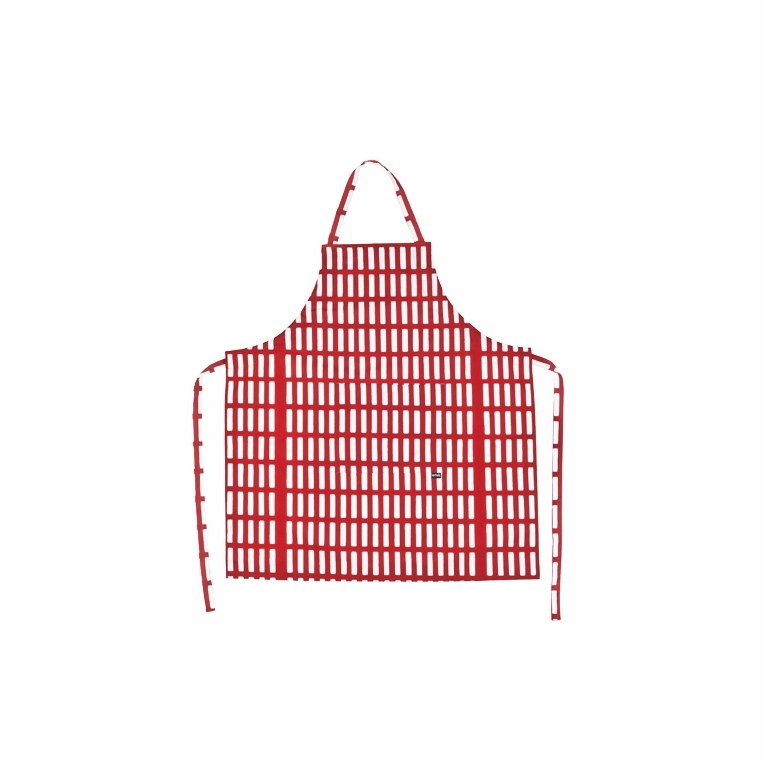 A beautiful garment of its own, the apron is printed with Alvar Aalto's Siena pattern in contrasting red and white. The simple pattern and bold colors make an impact without being overpowering. The next time you show off your famous recipe, impress your guests with your Finnish style as well while you wear the Siena Apron from Artek's abc Collection.